Nepal Picture Library was invited to participate at UNSEEN as part of the collectives show from 22-24 Sept, 2017. 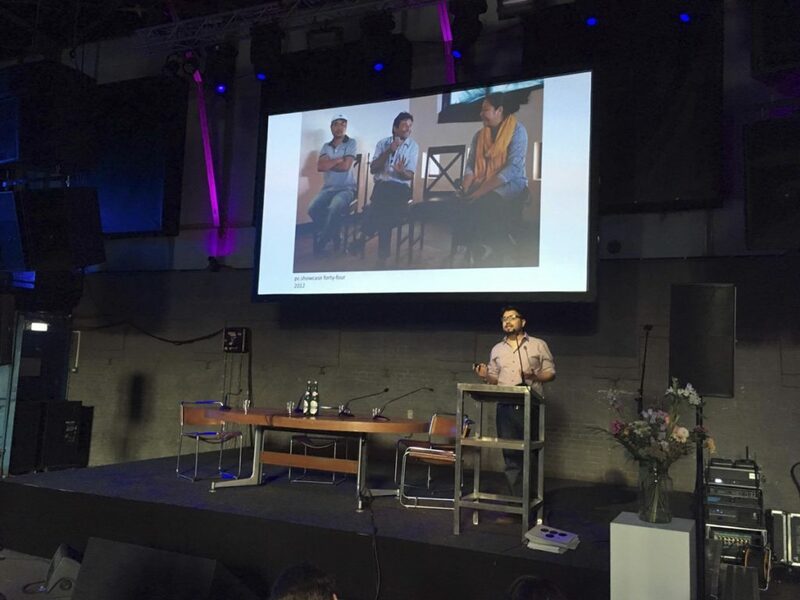 We presented photo.circle and Nepal Picture Library to a new audience and build relationships for future collaborations in Europe. Although the exhibition was from the archives of Nepal Picture Library, it gave us an opportunity to present what photo.circle has been doing since its establishment 10 years ago. The UNSEEN CO-OP platform was a great base for exchange and generated important reflections on visual archives. 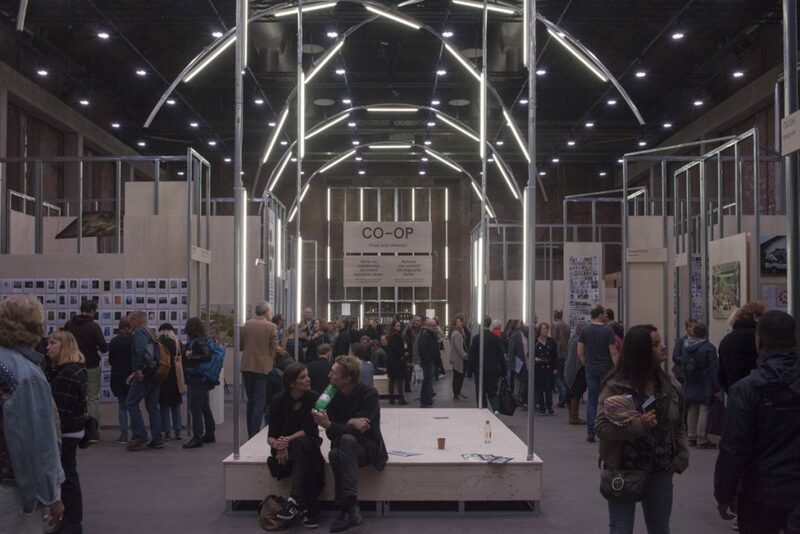 Additionally it allowed us to meet fellow collectives, artists and gallery representatives. 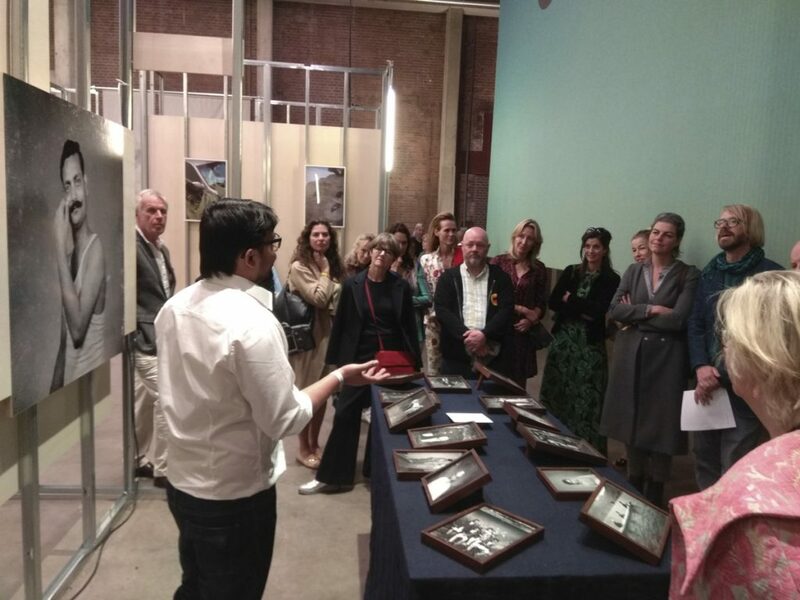 It also allowed us to interact with new audience and present archival and contemporary works coming out of Nepal. The trip was possible with the support from The Prince Claus Fund. The Co-op Section of UNSEEN 2017. NPL Booth at the Co-op Section at UNSEEN 2017. Nepali contemporary artist Bikas Shrestha’s work on display at the Nepal Picture Library booth at UNSEEN 2017. 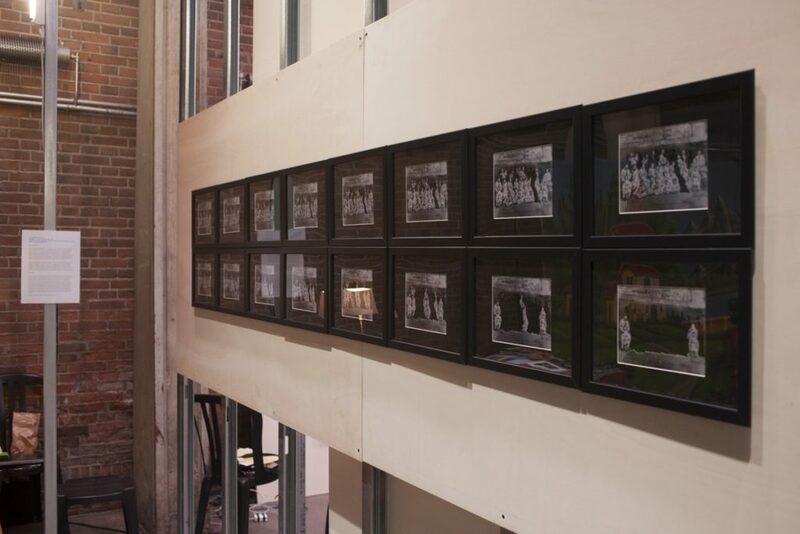 For his work Bikas used the archival materials from the Nepal Picture Library Archive. Shikhar Bhattarai, the coordinator of the Nepal Picture Library giving an introduction to VIP guests at UNSEEN 2017. 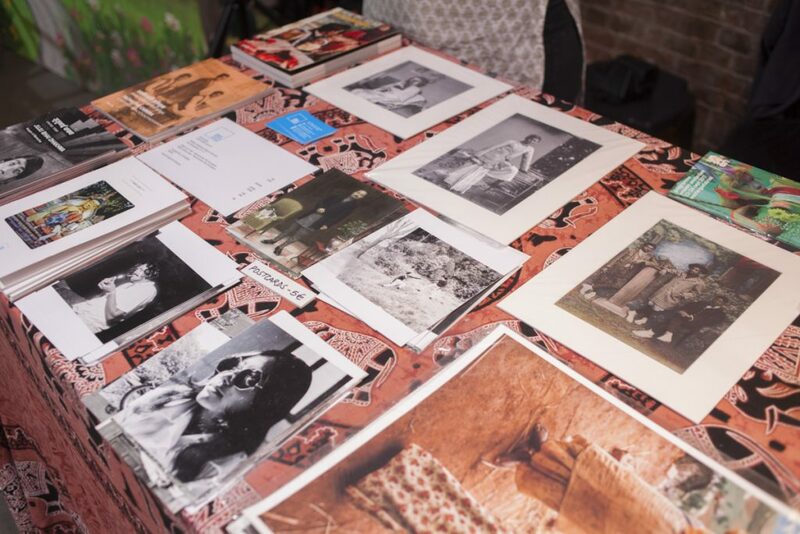 Merchandise for sale at the Nepal Picture Library Booth at UNSEEN 2017. 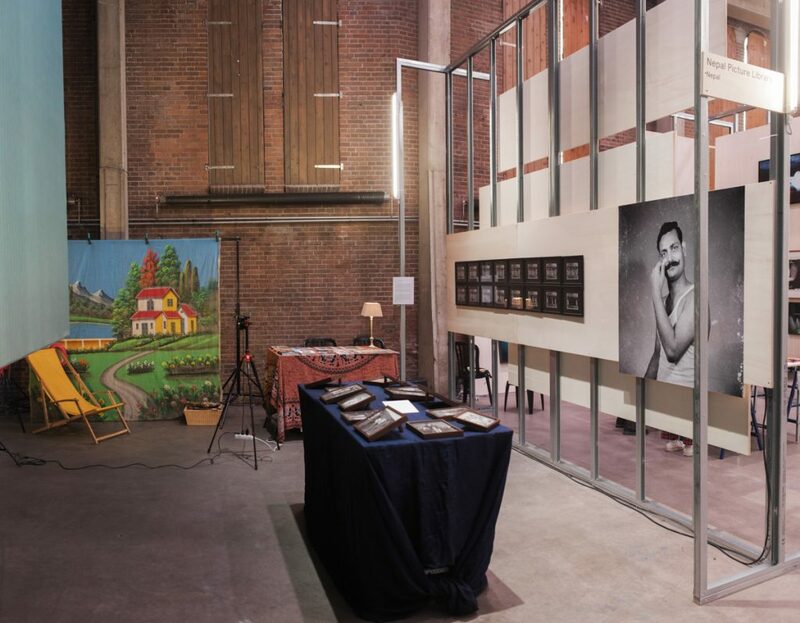 Studio Setup at the Nepal Picture Library Booth. 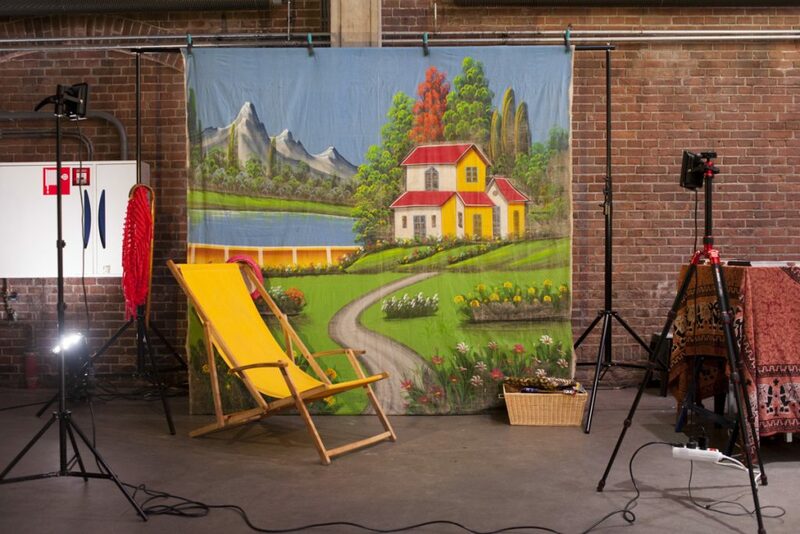 Visitors could come and have their photograph taken with our vintage backdrop. Visitors having their polaroids taken at our booth in UNSEEN 2017. Shikhar Bhattarai, the coordinator of the Nepal Picture Library giving a presentation about photo.circle, Nepal Picture Library and Photo Kathmandu to the audience at the Reflection Room.